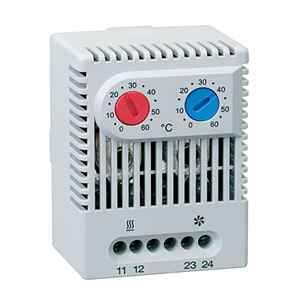 The ZR011 houses two separate thermostats, allowing the independent control of heating and cooling or other equipment. Both thermostats offer wide adjustment ranges and are colour coded for easy function recognition. Specifications are subject to change without notice. Suitability of this product for its intended use and any associated risks must be determined by the end customer/buyer in its final application.